Today I'm so, so excited to be collaborating with my favorite blogger girls to show you our favorite holiday party looks. We each have similar taste but totally different styles and I think you'll love our individual stylings for different reasons. For my outfit, I decided to be super warm and cozy in my new favorite Christmas sweater and layer my trusty navy gingham shirt underneath. Of course, no party is complete without a flouncy skirt and some fun loafers to complete the ensemble. 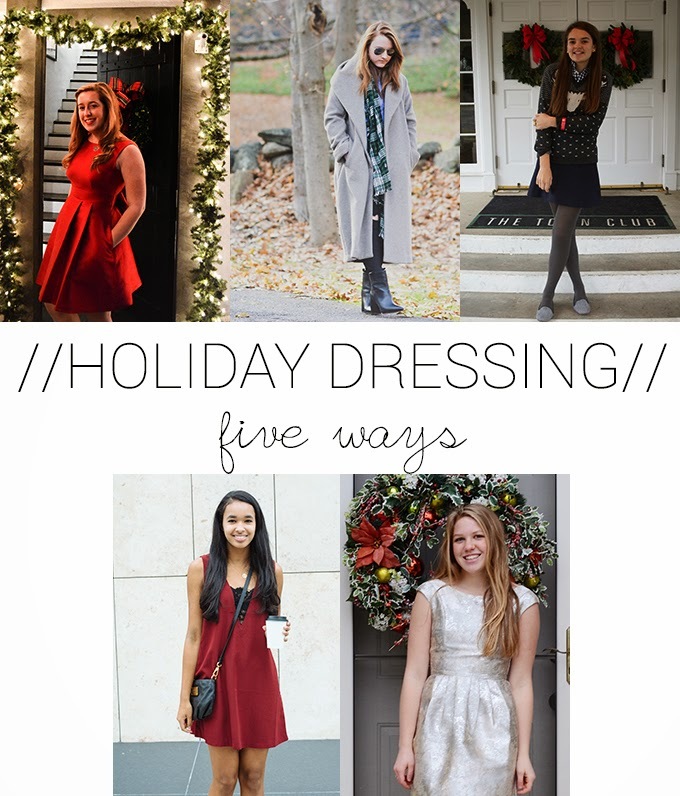 Dressing up for this post made me so eager for exams to be over so I can focus on preparing for Christmas! 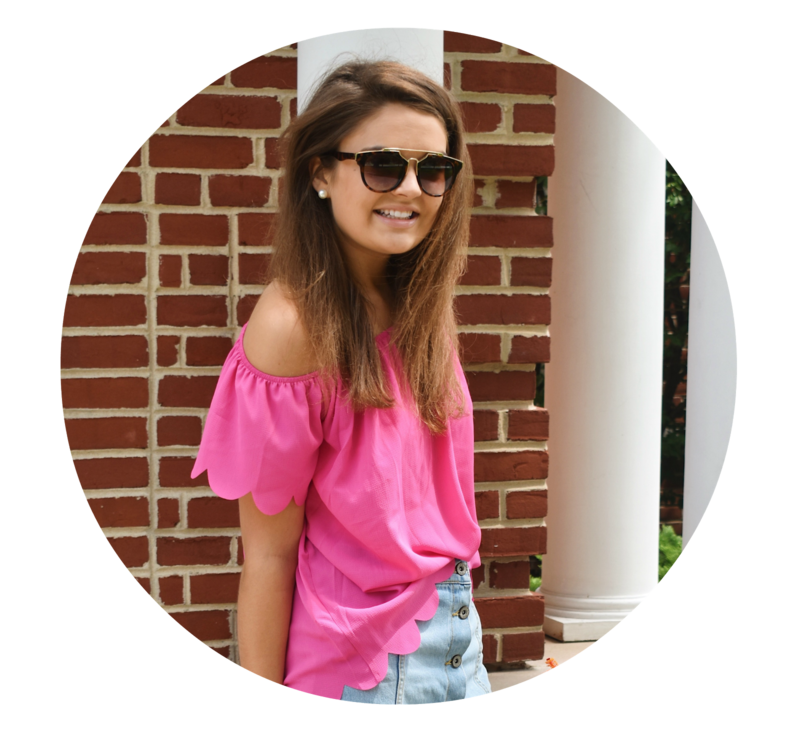 Be sure to check out everyone else's posts - I know you'll adore what they have to share! P.S. I've decided to start resizing my photos except they came out a little blurry.. bear with me while I figure it out! First of all, I love that sweater-it's so festive & fun! Second of all, normally I shy away from wearing any kind of flats with skirts & tights, but you make it look so effortless & adorable, so now I have to try that! All of you look so cute and I am definitely going to go for the kind of outfits you have on in this post. I was wondering what DWC stands for as used in #dwcxmas. I was thinking danes with class but that didn't sound right. Thanks! You look so adorable Caroline! I love the gingham shirt and sweater combo! I definitely am going to need to invest in one of my own! This collar was so fun! What a cheerful sweater! Love your shoes, too.